I was recently given the Prada Olfactories iconic scents set as a gift from Prada (I know I must be spending too much money on Prada) I also acquired the ‘I love Prada’ velcro Saffiano leather patch/badge from the new Prada velcro release. As always lets get into the details of these two rather different items. To start lets look at the badge, Prada have released a series of bags with velcro sections allowing you to then buy velcro patches that you can customise your new Prada bag with. 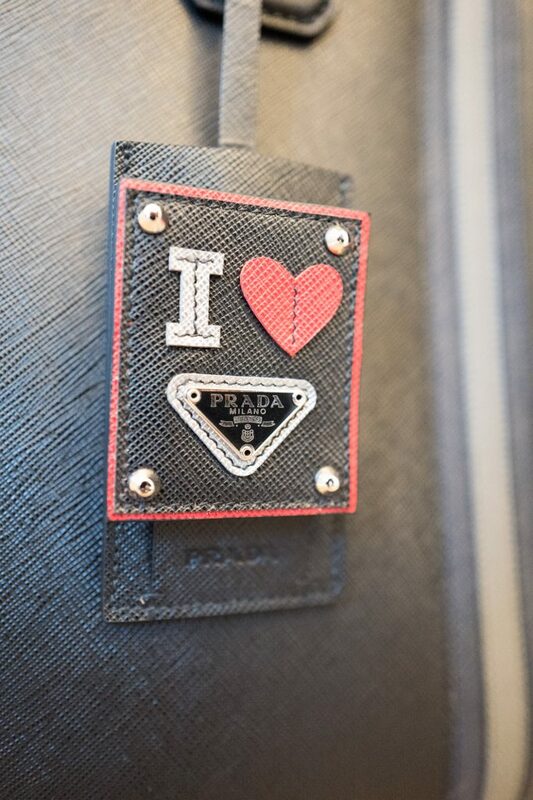 You can get Prada logos, letters, a rocket, a rabbit etc.. All of which are very cool, however the one that spoke to me was of course the ‘I Love Prada’ patch, it was like they created it especially for me! 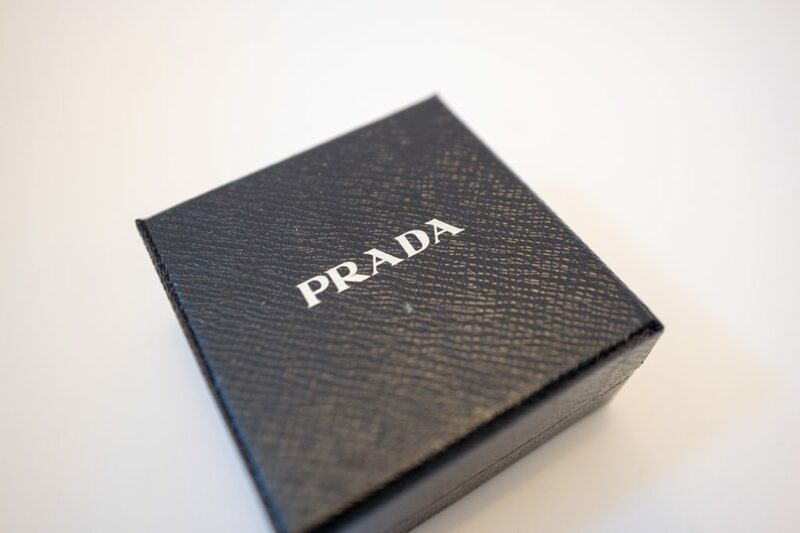 It comes in the standard Prada box. The patch itself is a selection of leather and metal layers creating the final product. All of which are Saffiano leather and of course are very well made. I love the black, silver, red mix of colours. As I don’t own one of there new bags with velcro sections, I thought I would build my own. So by using velcro strips I stuck my badge onto my Prada Saffiano leather tote bag, I used the luggage tag that came with the bag to create this amazing and unique accessory. 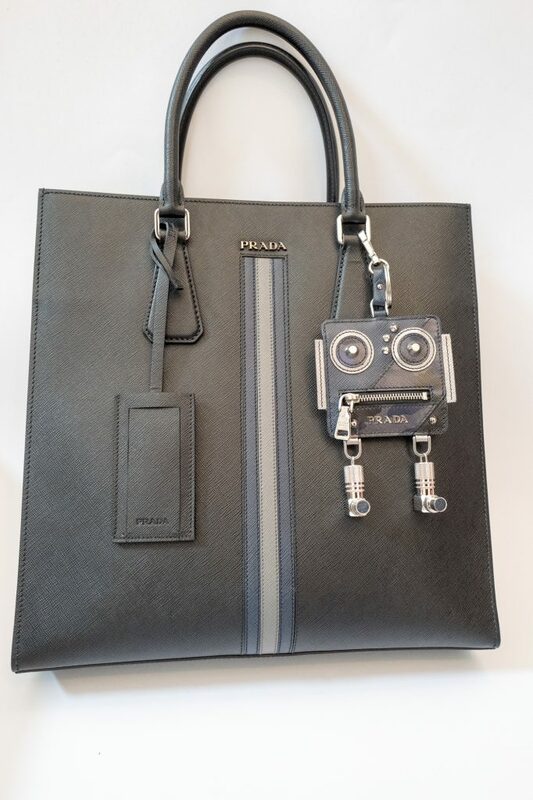 The bag did look like this with one of my amazing Prada robots hanging on one side, I then used the luggage tag to create a base to stick my amazing patch onto. Anyway I definitely love Prada so it is a perfect match! 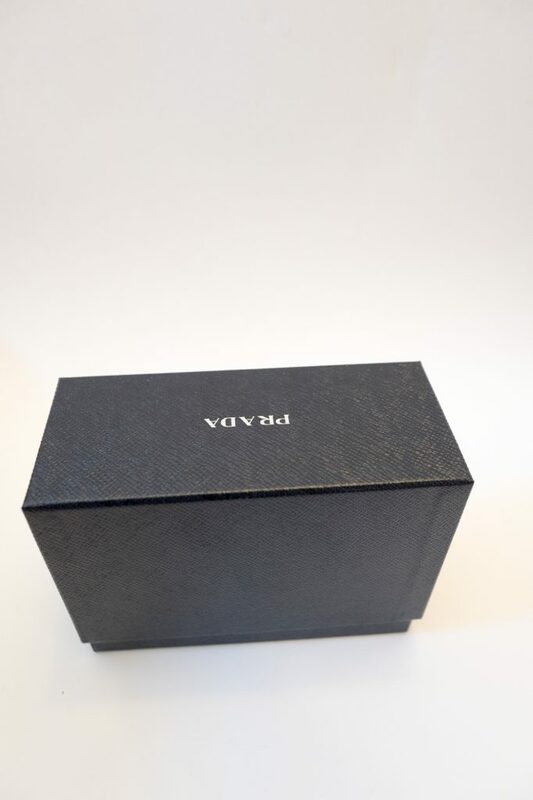 The set was a total surprise, I was presented with this standard Prada box and I thought, hmm what could be inside! 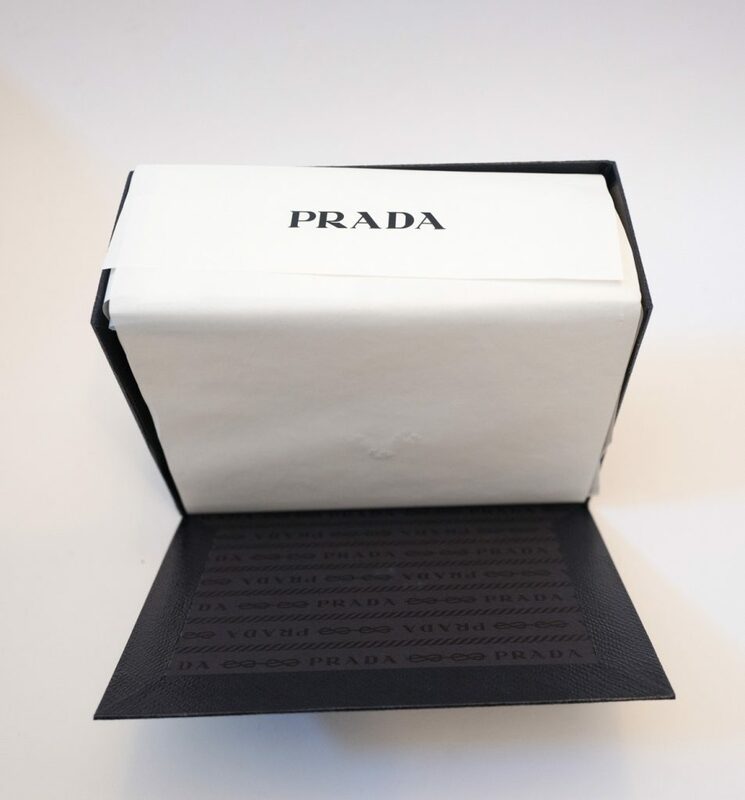 Opening it up reveals the classic Prada logo lining and paper. 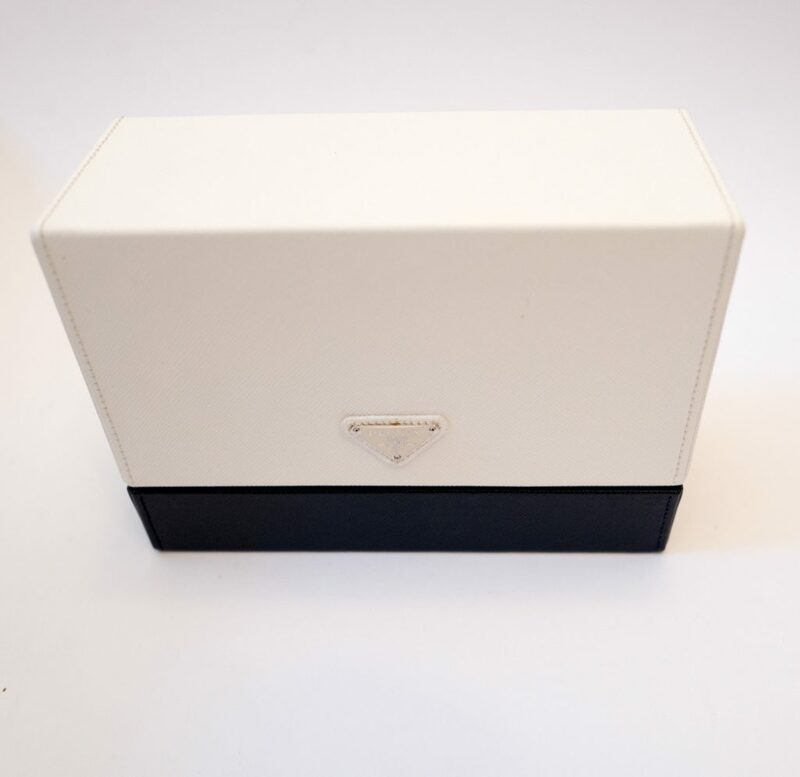 Then there is this beautiful leather box in white with the Prada logo and I knew this was something special! 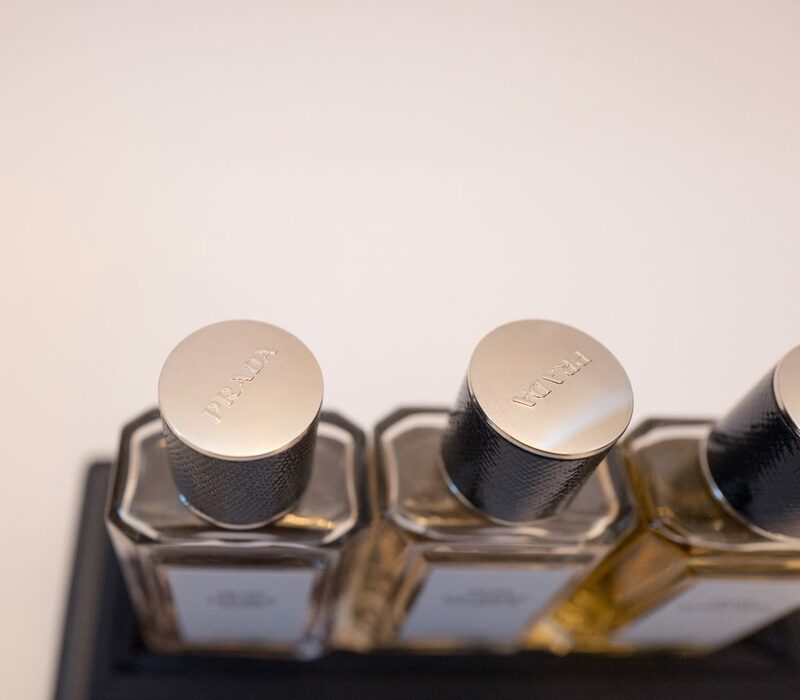 Opening the box up and you are presented with three of the ten Prada Olfactories scents in 30ml bottles. “Prada Olfactories are potent concoctions of the unexpected, each provoking the surreal, cinematic experience of a partially remembered dream. 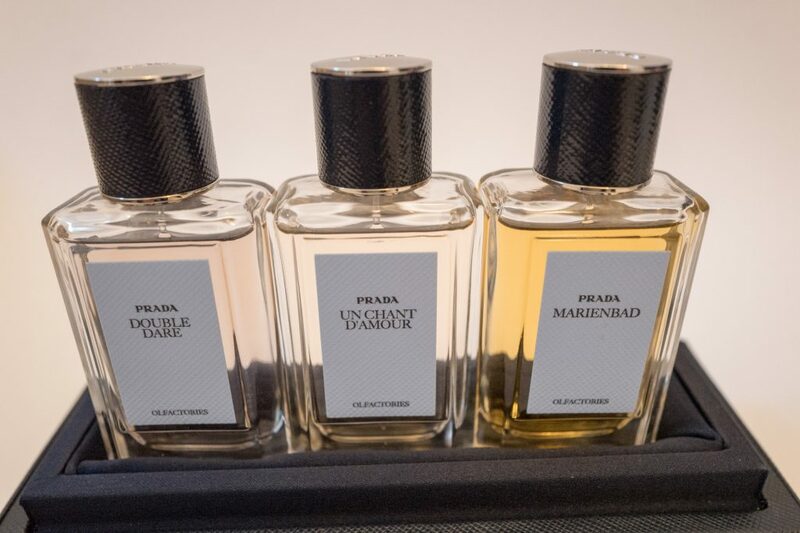 I’m very lucky to have received this set Prada Olfactories from Prada, and I really like the unique smells that each bottle presents. I highly recommend you check out Prada Olfactories and the Prada velcro patch selection!